Students and audience members listen during "Transforming Hollywood 7: Diversifying Entertainment," a conference about issues of diversity, inclusion and equality in the film sphere. Updated Mar. 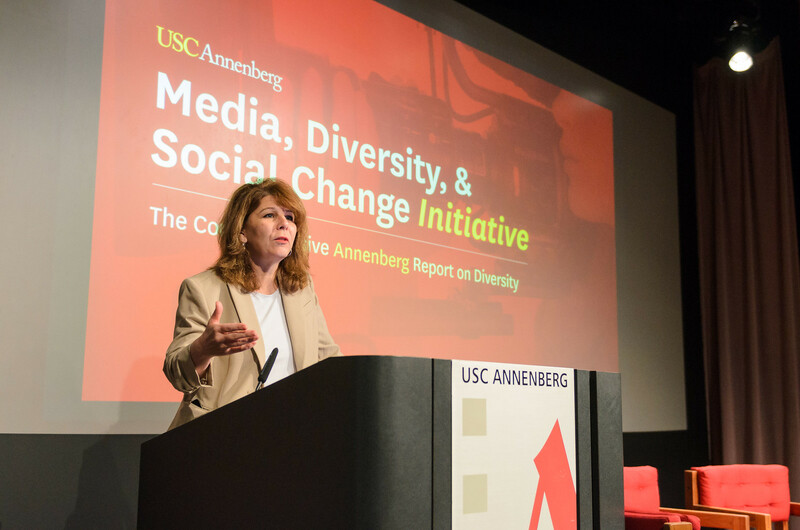 23, 2017 5:34 p.m.
On October 21, USC Annenberg and the UCLA School of Theater, Film and Television co-organized a day-long public conversation about diversity and inclusion in television, film, comics, games, and other popular media. For Annenberg doctoral student Joan Miller, (Ph.D Communication ‘20), “Transforming Hollywood 7: Diversifying Entertainment” was an opportunity to ‘mind meld’ Hollywood and academia in order to produce new solutions to the lack of diversity in the entertainment industry. The conference, held in a packed ASCJ auditorium, consisted of four engaging panels ranging from a look at why inclusivity matters, moderated by associate professor Taj Frazier, to a look at how some parts of the industry are telling stories in new and innovative ways, led by Henry Jenkins, Provost Professor of Communication, Journalism, Cinematic Arts and Education. Dean Ernest J. Wilson III opened the event by arguing that some of the most important and sharp-edged issues facing our nation, like diversity, inclusion, empowerment and impact, are being raised right now in everyday conversations. The conference was keynoted by Melissa Rosenberg, series creator and showrunner of Marvel’s “Jessica Jones.” Rosenberg was also head writer and executive producer of four seasons of the Showtime original series “Dexter,” which she helped steer to a Peabody Award, three Emmy nominations, three Writers Guild of America Award nominations, and two Golden Globe nominations for Best Drama Series. Rosenberg said “Jessica Jones” grew from a question: Could women star in the type of complex stories that have previously been told about white, male characters? She cited “Dexter’s” eponymous lead as an example of that sort of complex white, male lead. “I wanted to create a great superhero, but damaged, sort of like Iron Man,” Rosenberg said. Rosenberg said there are a lot of female directors in the industry, and broke the news that all 13 episodes of the next “Jessica Jones” season would be directed by female directors. Rosenberg said the entertainment industry can afford to put women both front and behind the camera on major box office hits because there is an enormous, untapped audience of girls and women. Rosenberg also had some advice for the aspiring directors, writers and producers in the audience. 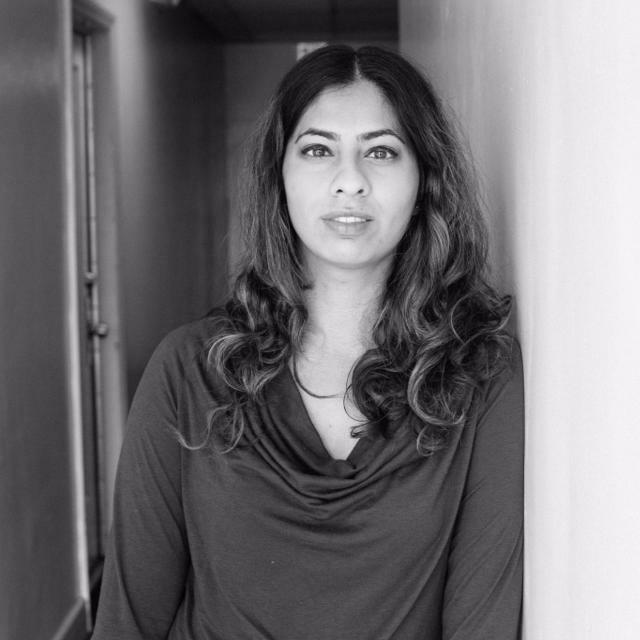 Media, Diversity & Social Change (MDSC) Initiative’s Stacy Smith also shared her new report on exclusion in Hollywood, including findings on gender, race, ethnicity, LGBT and disability on-screen. “I know inclusion is the hot topic, and I often bring the mood down and I talk about exclusion,” she said, adding that the study looked at companies and sought to answer how they were doing with inclusion on-screen and behind the camera. USC Annenberg student Charlé Moore (Master of Specialized Journalism ‘17) said she appreciated Smith taking a statistical and analytical approach to exclusion in Hollywood. “I’m not sure if the progress is at the pace everybody will like. But as long as you see movement, that’s always a good sign,” she said. During a panel moderated by Frazier on why inclusivity matters, actress Bertila Damas, National Chair of the Ethnic Employment Opportunities Committee for SAG-AFTRA, said it matters because it allows people to go beyond their own fears. “Inclusiveness is important in superseding fear, in encouraging education, encouraging the sameness—that although you look different than I, my goodness, aren’t we the same?” she said. There was also discussion of where Hollywood has succeeded, which Jenkins especially wanted to highlight. “We want to look at the potentials, where are the success stories, where are the examples where diversity is being introduced—and there’s real excitement and buzz about different stories reaching the air, film, comics and other media,” Jenkins said during the “How do we change the script?” panel. One of the panelists, Nakul Dev Mahajan, dancer and choreographer for the TV show “So You Think You Can Dance,” said he’s had success with Bollywood dance on the show because it celebrates diversity and merges the east and west together. Dodai Stewart, editor-in-chief of Fusion.net, suggested television is doing better than film at embracing diversity. The “How do we change the script?” panel also discussed including diversity in the writer’s room. Javier Grillo-Marxuach, writer and producer for the TV show “Lost,” said everyone has a common experience of humanity.